The fifth of November was designated as World Tsunami Awareness Day by the United Nations General Assembly last December. The date commemorates a well-known Japanese anecdote called "Inamura-no-hi" which can be translated as "The fire of the rice sheaves." In 1854, a major earthquake struck in the region of my hometown, Wakayama. 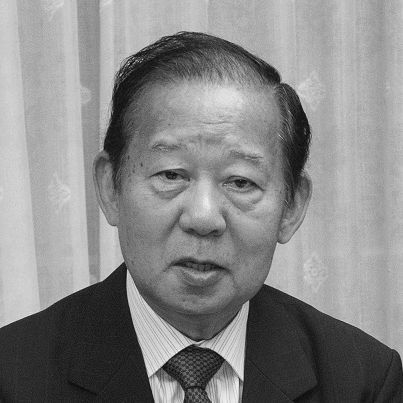 A village leader, Goryo Hamaguchi, knew from knowledge passed down to him that devastating tsunamis can often follow such major earthquakes. Seeing that the other villagers were unaware of the potential danger, Hamaguchi set fire to his recently harvested rice crop located on a high plain as a beacon to others, even though this grain was vital to his own livelihood. The fire guided the villagers to the higher ground and allowed them to escape from the ensuing tsunami. Tsunamis are rare phenomena compared with other disasters, but they cause tremendous damage. Yet, human suffering can be minimized with the simple knowledge that earthquakes may be followed by tsunamis. The Great East Japan Earthquake on March 11, 2011, killed over 15,000 people with about 3,000 others still missing. To our greatest regret, many children fled too late and lost their lives. In fact, the region had been struck by many other earthquakes and tsunamis through history, including the 1896 Meiji-Sanriku Earthquake and the 1933 Sanriku Earthquake. However, after decades, the lessons learned began to be forgotten by the following generations. In 2010, tsunamis from an earthquake in Chile crossed the Pacific Ocean and hit Japan. When the tsunami warnings started sounding, I was giving a public speech. The warnings urged the local people to evacuate the area, but no one showed any signs of leaving. This experience left me with a great sense of crisis and the need to put a national response system in place as soon as possible. I immediately prepared the relevant bills, but as a politician of the opposition party at that time, I could not realize them. Then, the Great East Japan Earthquake struck in March 2011. I cannot express the regret I feel when I think of how many people could have been saved, if only we could have enacted the legislation before the disaster struck. It goes without saying that Japan is not the only country at risk of tsunamis. For example, over 200,000 people lost their lives or remain missing as a result of the 2004 Indian Ocean Tsunami. If people only knew more about tsunamis at the time, many lives could surely have been saved. As a politician, and as a citizen of Japan, a country that has experienced and recovered from countless natural disasters, it is my wish to spread knowledge about tsunamis around the world and save as many lives as possible. I believe that raising awareness through events like World Tsunami Awareness Day could mitigate the devastation that tsunamis cause. In addition, promoting investment in disaster risk reduction is important to protect the lives of people from tsunamis and other natural disasters. The anecdote related above again provides us with an insight. After the disaster, Mr. Hamaguchi helped the villagers suffering devastating damages to obtain tools for farming and fishing. Further, he took steps to make the village more resilient to natural disasters -- "Build Back Better" -- by investing in sea walls that would protect the villagers from tsunamis in the future. Japan is today leading the way for mainstreaming disaster risk reduction on a global level. The international community's disaster responses so far have centered on post-disaster measures and are just now shifting to disaster risk reduction. The Third United Nations World Conference on Disaster Risk Reduction was held in the tsunami-affected city of Sendai in northern Japan in March 2015. This was followed last September by the adoption of the U.N.'s 2030 Agenda for Sustainable Development, which identifies disaster risk reduction as an important element of development. I would like to underline that the most important aspect of disaster risk reduction is to foster an understanding of the dangers of tsunamis and the proper responses to them among as many people as possible, particularly children, and encourage them to work together to reduce tsunami risks. For example, in Japan, evacuation drills are conducted every year under the initiative of the government and local communities. 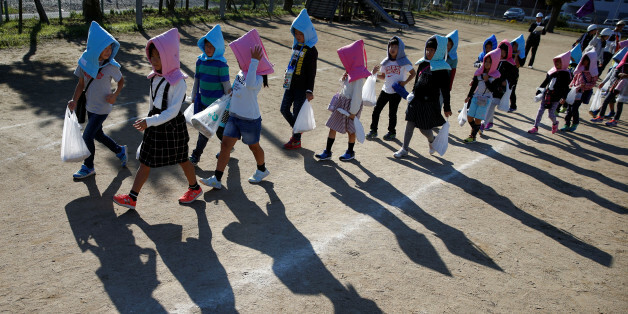 Even young elementary school students actively take part in these drills, and learn about the threat of tsunamis and measures to take when they strike. To share such measures with children around the world, who will shape the future, Japan is working together with the United Nations Office for Disaster Risk Reduction (UNISDR). Japan will co-host the High School Students Summit on World Tsunami Awareness Day in Kuroshio on November 25 and 26, inviting around 250 high school students from all over the world to Japan. At the Summit, I expect these Youth Ambassadors for World Tsunami Awareness Day to share the knowledge of disaster risk reduction through fieldwork and an exchange of views, and to summarize their findings in a declaration. It is my strong belief that we should do everything we can to stop tsunamis or earthquakes from taking away people's lives - even one life. With this belief, I hope that the world can unite and work together to continue endeavors to protect precious lives.